The new GOBI DRY Tank <\/b>protector <\/b>works by absorbing moisture in the vent of the tank which otherwise becomes condensate water in the fuel tank. Thus, it prevents fuel contamination and so denies bacteria a growth environment. The crystals are simply recharged by oven drying when indicated on the unit, usually once a year is sufficient. Work with fuel tanks up to 750L capacity. 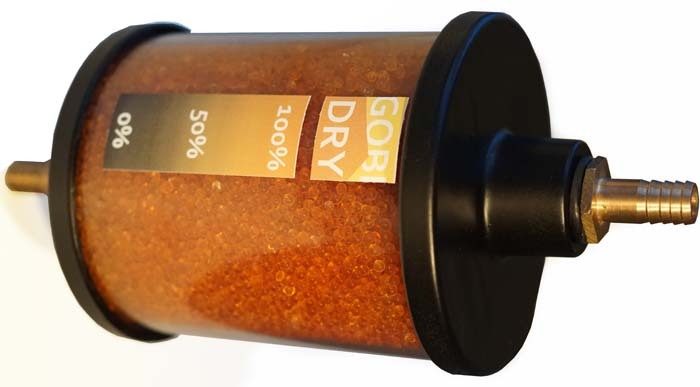 The new GOBI DRY Tank protector works by absorbing moisture in the vent of the tank which otherwise becomes condensate water in the fuel tank. Thus, it prevents fuel contamination and so denies bacteria a growth environment. The crystals are simply recharged by oven drying when indicated on the unit, usually once a year is sufficient.